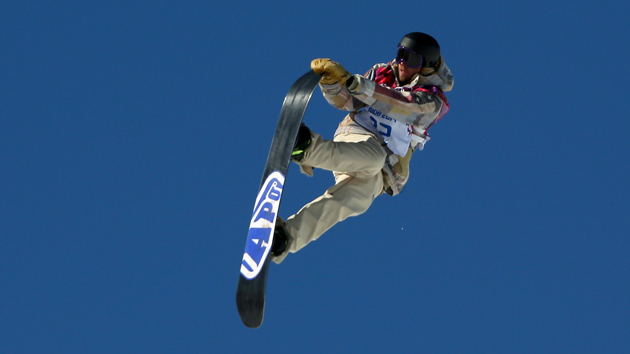 If you ask Sage Kotsenburg, there are three main elements to snowboarding: creativity, technicality and style. The three are interchangeable; Sage believes that the riders who are able to combine multiple elements walk away with medals. Kotsenburg has risen to the apex of the snowboarding world with combinations of creativity and style in a landscape that has recently favored more technical snowboarding. The biggest move in Sage’s arsenal, the one that keeps him in podium conversations among more technical riders like Mark McMorris and Max Parrot, is known in the extreme sports world as the "Holy Crail." The Holy Crail is Kotsenburg’s trump card. To perform the trick, Sage tweaks a “Japan Air” whilst rotating and corking at the same time, then reaches back with his outside arm, against gravity and the spins, and grabs the outside edge of his board when it is still tweaked behind him in the Japan, and he does it with all with his unique style. ​At X Games Aspen 2015, Kotsenburg was never able to successfully throw his signature down. Kotsenburg placed fifth in the slopestyle event, while Mark McMorris and Stale Sandbech—the riders who stood beside him on podium at the 2014 Olympics—finished first and second at X Games. With his best trick not cooperating, Kotsenburg’s runs featured a series of three 1260s, two of which were injected with his style. A front side twelve off of the toes (normally off the heels) and a backside off of the heels (normally off the toes). He went huge on the final jump, but didn’t bring it down. With X Games behind him, Kotsenburg’s focus is on Shaun White’s Air & Style. A Holy Crail with an extra rotation would be a 1440 combination. Style and creativity combined with technicality.